A friend of mine had a grandma who loved drinking wine. However, she didn’t drink wine the normal way. She had nice red wines with ice. Yes, literal ice cubes inside the glass. That’s how she liked her wine, even if it’s some nice vintage first growth Bordeaux. You can imagine the horror, of course, of those serving the wine, but when an old lady wanted her wine that way and doesn’t give a damn about what you think (and she’s paying)… well, you give it to her that way. I think in general we can agree that this is probably a sub-optimal way of serving wine. Nobody worth their salt in the wine industry would tell you to serve wines with ice cubes, unless it’s the crappiest box wines that are basically glorified fruit juice with alcohol. You also aren’t likely to go around asking for wines like that – because you know this would sound silly. Most of us, whether you think it or not, care at least somewhat about what other people around you think – and if you ask for wines with ice cubes when it comes to fine wines, it can make you look rather silly. I am writing about this because a somewhat recent discussion in a facebook tea group talked about brewing oolongs with cooler water. My general stance on this is quite simple – brewing oolongs with water that isn’t very close to boiling is a waste of tea – sort of like having wine with ice cubes that end up diluting the wine. It doesn’t bring out the best in the tea, especially among higher end teas. If you’re paying good money for the leaves, then brewing the leaves with, say, 85C water, you’re basically throwing money away. The argument I hear sometimes is that brewing at lower temperatures would help alleviate problems – bitterness, sourness, astringency, etc. Yes, that’s true, brewing at lower temperatures does reduce those things, but it also reduces the amount of flavour you’re getting out of the tea. Especially in the case of the more tightly rolled oolongs these days, if you use water that isn’t boiling it takes 2-3 infusions to even get the leaves to open up. Everything is on a reduced extraction schedule. You end up prolonging infusions or you end up with a weaker, flatter, less interesting brew. It’s like putting ice cubes in wine. This is not to say you can’t have it that way – sure, if you really prefer it that way, go for it. It’s your money and your tea, after all, so drink however you’d like. That isn’t to say there is no absolute best way to brew it, and no objective way to judge a tea. The thing is, if you are skillful in brewing, none of those problems – bitterness, sourness, astringency – are actually problems. You can manage them away with the right ratio of leaves to water, with the right time for infusions, and having an instinct to switch it up as you go along depending on how the last cup went. You, as the person brewing the tea, are in full control. Using cooler water would help avoid you running into problems, but it also handicaps you in the maximum amount you can get out of the leaves – so it cuts both ways. The real way to avoid them is to “git gud” – improve your skills and do it so you don’t run into problems with bitterness or unpleasant tastes, instead of handicapping the tea with warm water. This also brings me to another factor that is rarely mentioned in online English language discussion on tea drinking – what you’re looking for is different. To many Chinese anyway, drinking a tea is not just about the flavour in your mouth the moment you swallow. How you judge a tea is as much about the tea’s lasting fragrance, instead of the ephemeral and momentary floral effervescence that you get in your mouth. When I drink tea at the office, I particularly enjoy the fact that, half an hour after my last cup as I’m driving home from work, I can still taste the cup of tea I just had – its aftertaste glows in my mouth. With poor quality tea or weakly brewed tea, you can’t get that. Yes, the moment you get with a nice floral taste might be somewhat enjoyable, but the real difference marker between a good and a great tea is how long it stays with you. That sort of effect and experience you can only get if you brew your tea somewhat strong. It is only then that you can relish it. This is also why competition or commercial grading of tea happen in standard brews with boiling water – because once you’ve had enough teas, you quickly know what’s better, and what’s not. One of the key markers is how much stuff there is for the tea to give up – the more it has and the deeper the taste, the better the tea is. If you try a sip of the competition-brewed tea, they’re all really bitter, kinda nasty, and not very pleasant, but the good ones will show you a kinder, gentler side that will stay with you for a long time, whereas a bad tea is just bitter and thin. Taste matters on an individual level – some people will always prefer X over Y, even if by objective measures Y is better than X (the analogy I gave in the facebook thread was that some people will always like Big Mac over a nicely made gourmet burger with great ingredients). Just because some people are contrary doesn’t exclude the possibility that there’s an objective way to measure something we consume. Gongfu brewing is quite versatile – you can control all the variables, including the amount of tea, the amount of water, the timing of the infusions, etc. You can adjust infusions as you go to try to get the best cup of tea from the leaves. However, it is not the only way to brew, nor is it always the best suited for whatever tea you drink. These days I use a small pot to brew tea at work, with an electric kettle that has served me quite well. I mix waters so the tea is not suffering from the ultra-filtered water we use at work. It works reasonable well. At home, with kids, it’s difficult to do any kind of gongfu brewing. Instead, I grandpa everything. This may come as a surprise to some, but for some teas, grandpa-ing the tea actually produces better results. I’ve talked about this briefly before. The thing you have to remember is when you brew teas in vastly different ways, the tea itself changes character in really obvious metrics. A tea you think you’re familiar with can appear wholly unrecognizable. The most obvious for these is aged oolongs. You might think that oolongs are best brewed in gongfu style. This may seem especially odd for aged oolong, which can be a bit sour. Wouldn’t grandpa-ing the tea make it even more sour? Funny enough, the answer to that question is usually no. In fact, I’ve found over many years of drinking this stuff in various ways that grandpa-ing is often the best way to drink aged oolongs – even better than drinking in a small pot. If you gongfu an aged oolong, what often happens is the tea can be a bit thin, and a bit sour. There’s not a lot to recommend the tea. The same tea, however, throw into a big mug and just stewed for minutes before you even attempt your first sip, can be fragrant, full bodied, and quite pleasant. The acidity is now enhancing the drink, instead of making it worse – in the same way that acidity in a wine can make it a better experience. There are aged oolongs I’ve had that taste sharp and kinda nasty when gongfu brewing, but are an absolute delight when drunk grandpa style. I haven’t given up drinking aged oolongs gongfu style completely yet, because some teas do work better for that, but in general, I’d say it’s at best a tossup. Even for semi-aged puerh, I think one should at least try drinking them grandpa style, or at the very least using a much lower tea to water ratio but with longer steep times. The result is usually a richer taste – I have some teas that appear thicker, and more fragrant, when I grandpa them. In gongfu style, they’re instead a bit weak and not terribly interesting. I think what’s going on is that for some teas, the amount of time you need for whatever it is in the leaves to be pulled out of the water varies for different types of whatever proteins it is that is giving you that particular flavour. If you do short and fast steeps, as is pretty normal in a gongfu style brew, then they all come in succession – with none of the cups being particularly satisfying. Instead, when you steep them long and slow in a big mug and then drunk together, the result is far more interesting, and the individual elements – such as the sourness – blend into the tea in a way that is not obtrusive. As James said recently, drink with an open mind and don’t get stuck in the same routine. The results can be surprising. First, an important but unrelated point – as we move our discussions and conversations onto various social media platforms, those discussions are lost to those who are not privy to these conversations. Even if you are a member of those groups, or friends with those people, if the algorithm decides not to show you the conversation, and if nobody told you about it, you’ll never find it, basically. So, although these platforms can be great for connecting people, the memories are all fleeting, with no permanence to speak of. The author of the original post can decide to delete the post, and everything is gone. If you don’t have a direct link, even if you scroll through the timeline of whoever or whichever group it belongs to, you might not be able to find it. Search is useless. So, any sort of wisdom, knowledge, or ideas that were shared are not open to all. That’s a problem. The reason I’m saying this is because there’s a recent discussion in the facebook group Puerh Tea Club about “how you know what is good“. The question is one that plagues not just tea drinkers, but aficionados of all kinds – how do you know what you have/see/drink/smoke/eat is good or not? The answers to this question run in a few different directions. One is the simplest, but perhaps least useful – whatever you prefer is the best. To this, our dear friend Su countered that she knows someone who’s been drinking the same type of teabag for 50 years – he likes it, but does it make the teabag good? Objectively, I think most of us will say no. So clearly, the answer has to be more than that. Then you can get all scientific – some kind of complicated checklist of aroma, mouthfeel, etc etc. – you see this sort of thing for wine tastings a lot. I’ve been to some of these things before, and frankly, it gets very silly. Someone drinks a bit of whatever it is, then rattles off “24/25 for taste, 23/25 for aroma….” it’s meaningless. For one, there’s an unspoken rule, it seems, that no score for anything drinkable should ever be lower than maybe 85. So you’re really working with a 15 point scale, not a 100 point scale. When almost everything is in the upper 80s or lower 90s, what does giving something a 65 actually mean? It just means it’s not drinkable. Why not have a scale that makes more sense? Also, are taste and aroma really equal? These sort of scoring metric often make them out to be so, but in reality, I think a lot of us put more emphasis on how a tea tastes and feels, rather than on how it smells. In the case of tea, it’s further complicated by the person preparing the brew – the same tea, in two different hands, can taste very different. Someone who doesn’t know how to handle a tea can completely botch it. If it scored a 65/100, who’s to say it’s not the brewer’s fault? Which doesn’t leave us with a lot of options – at the end of the day, there isn’t much you can do if you’re a drinker on your own, without any real life tea friends to turn to. The answer to the question, I think, rests in 1) getting enough experience and 2) understanding what you’re trying to evaluate. Getting enough experience is probably the more difficult of these two. I’ve said before that one should drink widely – different kinds of teas, from different vendors, at all price points and of different geographical sources. Getting stuck with one or two vendors is a terrible trap to be in, because vendors, especially for something like tea, are usually limited to a small number of suppliers. It’s not like wine where you can just order a few cases here, a few cases there, with provenance clearly traced and knowing you won’t get fake or adulterated goods. For tea, it’s more complicated than that. 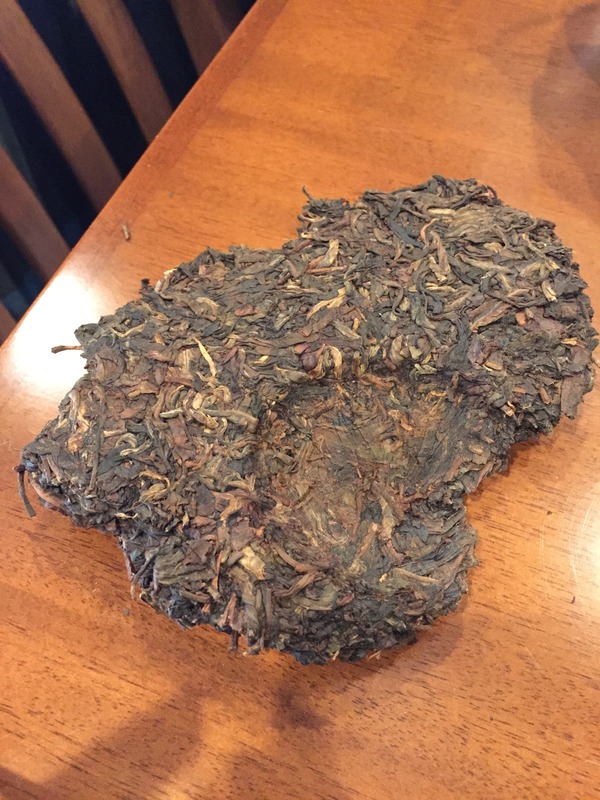 When you are talking about aged puerh, it gets even more complicated, as you have to factor in the risks of fakes, the quality of the storage, the price that their customers are willing to pay for the tea (not high enough, usually, outside of Asia). After those limiting factors, the vendors then select what they could offer, and will try to sell those. So even if you want to sample widely, due to these reasons and other logistical problems, vendors will have their own preferences and make choices based on those. Therefore, any vendor is really only offering a small slice of what’s possible out there. That’s why patronizing different vendors is important. Even when you do buy lots of teas from different people, or get them through sample swaps, or whatever…. then what? I think the first thing you could do is to brew them in a way that is easily controllable. Buy a few sets of these cupping sets, for example, and start cupping your own tea. Start by doing some simple tests – use black tea, one from say a cheap teabag, one from a mainstream supermarket loose leaf brand, one from a supposedly higher grade source, and compare directly against each other. How are they different? What are the things that distinguish them? How is their durability and rebrewability? We are talking five minute brews here of 3.5 or 4g each, or some similar parameters. Make it precise. Practice it, and get used to cupping. Smell them, taste them, re-do it a few days later. Drink it hot, then wait for them all to cool and try it again. Then try it with different kinds of teas – oolongs, greens, etc. They’re all going to taste virtually undrinkable the first time you try cupping, but you’ll get used to it and soon you’ll start to figure out ways to understand what you’re dealing with – and why some teas cost more. This way, you at least eliminate the biggest variable in changing how a tea taste – your brewing. By controlling for everything through the same process, it’s tea against tea (using the same water) and not influenced by anything else. Better yet, have someone else set it up for you so you don’t know what you’re dealing with, to avoid any preconceived notion. This is probably more work than most people are willing to put in, but I think it’s the way to go if one were to really try to gain experience. Then apply whatever it is you’ve learned from cupping to your daily drinking. How are these things reflected in the tea when brewed normally? What to look for then? Well, the answer is pretty simple – stronger is better than weaker, more aromatic is better than less, smoother is better than rougher, longer lasting is better than not. However, there’s a balance issue here. Some teas are really aromatic, but rather thin and don’t rebrew well – a lot of green teas are like that. Among green teas, that’s fine. 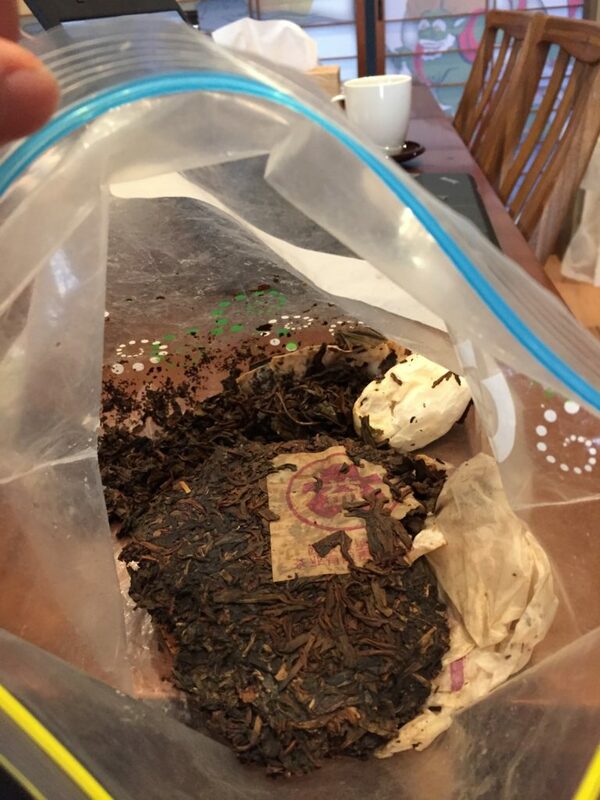 However, for a puerh, that’s no good, because a thin but aromatic tea will age poorly – aromatics go away over time. So, depending on the tea, what you might want out of the tea maybe a bit different. This is really the answer to the second question – what are you looking for? For most teas, immediately consumption is the answer, so the tea that really has the best mouthfeel, taste, and aroma is going to be the winner. What’s best? Judge by cupping. Two teas that have similar levels of strength but different types of aroma – that’s a matter of taste. However, usually one is going to be better than another. There’s just no way around it. For teas that you intend to keep for aging, however, the situation becomes a little more complicated. In this case, I’d prioritize strength and rebrewability over other factors. Aroma, as I mentioned many times before, changes and fades. If you like a newly made puerh because it’s really fragrant – drink it up fast, because if you store it it’s not going to keep that aroma for that long. Also, if a tea is really one note, aging might not be the best for its future – it can get very boring after aging. I know it’s not fashionable these days, but try some proper Dayi 7542 when they’re young. It gives you a good idea of what an ageable tea tastes like. Even those are changing a bit, but more or less they have stayed the same over the years. It’s at least a good benchmark to compare against in terms of strength. A tea that is weaker than a 7542…. I’d be careful buying those for aging. Notice I haven’t said anything about cost here. Let’s just say this here: good tea is rarely cheap, but expensive tea doesn’t mean it’s good. Also, western-facing vendors are not offering the full range of what’s out there, because there’s not enough of a market for the real top flight stuff, despite what is sometimes marketed as such. At the same time, coming to Asia to buy directly is a recipe for disaster if you don’t really know what you’re dealing with. Well… that’s sort of the idea, isn’t it, getting your tea leaves wet? In case you can’t tell what’s going on – on a recent trip, I took some tea with me to drink, since I don’t like drinking whatever the place I’m staying at might provide – it’s too much of a lottery unless I’m visiting Taiwan. So, one day we went outside, and when I came back, I met the cleaning lady still working. A short while later, right after she had left, I discovered that my bag of tea was gone. So…. long story short, we fished it out of the garbage, and she claimed that the bag – what you see above – was already that way when she came so she threw it into the trash. Now, I don’t think anyone in my family is insane enough to throw some wet, spent leaves into a bag of dry tea leaves, and I’m pretty damn sure my kids aren’t old enough to learn how to clean up yet, not this way anyway, with a stray tissue to boot. Needless to say, this cake looked nasty, wet all over, and looked like a bit of a lost cause. Except, it’s not, because of the magic of puerh. Your tea got wet? What to do? Well, you can dry it. I scraped off the leaves that got wet, and the rest of the cake, since it’s the center of it anyway, the leaves are pretty dry. Some are still a bit damp, but nothing that indoor heating on a cold day can’t fix. A few hours later, everything is dry to the bone again. I brewed some tea up the next day – no problem. All good as new. You can’t do this with loose leaf tea. If this were a bag of oolong, for example, the whole bag would’ve been toast. However, because this is a solidly compressed cake, and because the bag wasn’t doused in liquid, other than the surface layer of leaves not much else got wet. In fact, once I scraped off the wet leaves the rest already felt pretty dry to my touch. Leaving it out overnight merely made certain that everything got dry – it probably wasn’t strictly necessary. This illustrates two things: 1) puerh is pretty resistant to moisture and dampness, and it takes a lot to get a cake thoroughly wet, and 2) don’t panic when accidents happen. It’s just tea. Most of your cup of tea consists of water – and what water you use has a huge effect on how your tea tastes. It is an important thing to remember when trying a tea – what water are you using, and what does it do to your tea? Most of us rely on some kind of tap water supply for regular drinking. Where your municipality gets its water changes how your tea tastes. When I lived in Pacific Northwest I remember the water tasting very fresh and is often very cold even in the summer – it’s snowmelt so that’s how the water comes out. In places like Hong Kong we get most of our water from a river source in nearby Guangdong, and it’s heavily treated. It’s not that great, but I suppose it could be worse. Then you have bottled waters, which as bad as it is for the environment, is usually where you can get some pretty good water. A few months ago my cousin-in-law who’s an expert on Japanese liquors brought back a couple bottles of water for me from the Suntory natural water range. There are three sources for this line – Mount Aso, from Kyushu, Mount Oku-daisen, and from the Southern Alps of Japan. I got two bottles – the Mount Aso and Mount Oku-daisen ones. It’s always refreshing to taste different waters and notice how different they can be. Both are fragrant waters – yes, water can be fragrant, not so much in that they smell like anything, but when you drink it there’s an aftertaste that rises up your nose. The Mount Aso is, I feel, a better water – more interesting, more complex, and a bit more aroma. The Mount Oku-daisen is lighter. Turns out the Mount Aso water has more dissolved minerals, which might explain why. This is not to say the Oku-daisen water was bad – far from it. But the Mount Aso water is better. There are practical limitations to using bottled water. I try to avoid doing it for two reasons – cost, and the obvious wastefulness of using bottled waters. However, these days at work what I do is buying large bottles of either Volvic (another reliable supply) or this Scottish water from the local supermarket and adding it to my office supply. The reason is because our office uses a reverse-osmosis filtered water, which yields a sharp and flat water. If you use RO water for brewing, it is quite easy to get a bad brew – the tea will not be very flavourful and it often appears very rough on your tongue. Adding some of this mineral water in helps round out my tea and makes it much more palatable. Blending it also keeps the dissolved solids in my water low enough so that boiling it doesn’t produce sediments; if your water’s mineral content is too high it will leave a crust of minerals, which is a bit of a problem for an electric kettle. I’m not about to bring my tetsubin setup here for obvious reasons. Sometimes I see people say things like “I use RO/distilled water because it’s pure”, which is pure nonsense. Yes, it’s pure in the sense that there’s nothing else in it. However, naturally occurring water will never be “pure” water. Tea aficionados of the past have always advocated spring water of various kinds for the best brewing experience – precisely because they contain interesting minerals that make the tea taste better. The famous Hupao spring in Hangzhou, for example, has a pretty high mineral content. Using distilled or RO processed water to brew tea is just a waste of good tea leaves. If you don’t believe it, try it side by side with a good water like Volvic. The difference should be night and day. In fact, even if you do believe it, try it anyway. The differences with using different water is very enlightening and helps any tea drinker understand which part of the tea is coming from the tea leaves, and which part of it is from the water. As I’ve said many times before, the most cost effective way of improving your cup is not buying better leaves, but getting better water. Forty years ago, almost everything related to tea production in a place like Taiwan was done by hand. Leaves were hand picked, they were withered by hand, kill green was done manually, and then rolled by hand and then dried also manually. There were tools, of course, that helped one along in the process, but by and large they were not mechanized and required physical labour. As you can see below from this video of traditional rolling techniques, it’s hard, hard work. Soon after a plethora of machines were introduced and the toughest processes, such as kill green, rolling, and drying were handled mostly by these machines. This isn’t to say the process isn’t still physically demanding, but it probably beats trying to roll tea leaves with hands and feet for hours at a time. Those who grew up on tea farms and who are 40-50 years old now are probably the last generation who remember (and have tried their hands at) making tea the old fashioned way. These days there’s a mechanized farm tool for every step of the process, although not all of them are used all the time. Take picking for example. There are lots of harvesters out there. They range from smallish hand held machines that look like big horizontal hair clippers to vehicles that are small combines. A farm can choose to use a harvester some of the time, but not all the time. One farmer told me, for example, that for the summer picking they use the harvester because it’s just faster and easier, and since summer tea is crap (and only sells for cheap) there’s no reason to do anything more for it. On the other hand, for spring and winter harvest when the prices can be better, you want to have the leaves picked by hand so that the quality comes out higher. Machine harvested teas just aren’t as good. There are, however, some steps that are always done with the aid of machines these days. Generally speaking, kill green, rolling, and drying are all done by machines. More importantly, they are done by people who often aren’t involved in the other processes. Here’s the thing. In the old days when everything was done by hand, you gather the family and your hired help to do whatever you need to do to harvest the tea and process them efficiently. There’s only so much time for this sort of thing after you picked the leaves, and because of constraints like weather, you only have certain days when this was possible. You get all the manpower you need, pick the tea, wither them, let them bask in the sun for a little bit, wait for the oxidation to kick in to the right amount, kill green, roll them, dry them. All this was done in house, because if it’s all requiring physical labour then that’s where you’re going to find that labour. Even kids helped out if they could, and young men and women were hired to help do the parts that need extra hands – picking and rolling, for example. Roasting can wait, everything else had to be done immediately once the leaves are off the trees. Nowadays though, most farmers no longer do the middle parts. Some only harvest and then hand the rest of the processing to people who specialize in them. Others might also take care of the withering but not what comes after. Part of the reason is mechanization – there’s no real reason for every farmer to buy a rolling machine or a kill green machine that’ll be left unused most of the time, whereas people who invested in them have a reason to basically rent it out to others who don’t own them. It makes sense – why would a village with 100 tea farmers have 100 rolling machines? That would make no sense. This kind of specialization though has a cost, albeit not necessarily one that is very apparent. What we are seeing is a kind of homogenization of tea production. Back in the day, when a farmer was involved in all steps of the production process, the tea really was his – the taste you get at the end is his and his alone. These days, farmer A’s tea may taste very similar to farmer B’s tea because they both sent their tea to be processed by processor C and dryer D. What you’re tasting is therefore the combined work of all these people, and not just a farmer A or farmer B’s product. I asked a farmer what would happen if he owned a rolling machine or a kill green one and invited a technician to come in to help. He said they’d simply refuse – there’s no reason for them to make their way to an unfamiliar setup to do work when they can easily do what they do at their own place, or at a place where they can work while having the farmers bring in the tea. This farmer I talked to still insists on withering his own leaves by hand, but even that’s less common these days. Between the difficulty of doing this and the downward price pressure of import Vietnamese tea, there just isn’t a lot of good reasons for someone to keep insisting on making things on their own. There are, of course, skills that remain in the hands of those who produce tea and will change the way it tastes. For example, roasting is a big part of the final taste of the product for Taiwanese oolong. Roasting, for the most part, is usually still done in house. In fact, a few of the farmers I met on this recent trip didn’t want me to see their roasting process. I don’t think they have much to fear. Aside from the obvious fact that I wouldn’t be able to reproduce whatever they were doing even if I got to see all of it in detail, this is very much a process that requires lots of hands on experience to learn, and especially the ability to adjust on the fly based on weather, the tea’s condition, etc. These are things that an outsider cannot easily figure out quickly. Maybe someone who’s well steeped in the arts of charcoal roasting can glean something from this, but I doubt it. So when you see a vendor tell you “this tea was produced by Mr. X of Y”, in almost all cases it means the tea was grown on Mr. X’s farm and perhaps Mr. X was involved in the processing of the tea at some point, but for the most part the actual processing of the leaves are usually left to someone else to do. There are a few exception to this rule. Mr. Gao, an organic farmer based in Shiding near Taipei, is one, but his tea is exorbitantly expensive as a result of his wild farming techniques and hand made processes. One could have a debate about whether or not it is worth it, but a tea that is easily 4-5x normal prices (or more) isn’t going to find a very wide audience. Outside of that kind of very specialized production, most teas you drink are, to some degree, a commercialized production that is run mostly on volume, rather than specific “craft,” whatever that is. There’s nothing wrong with it – being able to work with a kill green or rolling machine skillfully is also something you need to master through experience and time. It’s just that there’s a certain homogeneity to this process that is obscured by the smallholding farmer arrangement you find in a place like Taiwan. Some farmers were lamenting to me the loss of individual taste. In our industrialized world though, maybe it’s the price we have to pay. As some of you know, doing research in history is my day job. I am happy to announce that a research article of mine, on the history of gongfucha (as a ceremony of sorts) is out in the current issue of the journal Gastronomica. The table of contents for this issue is here. I’m not sure if the print issue is available anywhere yet – the electronic version is on a 6 month delay at ProQuest and I think a 3 year embargo at JSTOR (to sell more physical copies). If you are interested, please check it out. Zhang, Lawrence. “A Foreign Infusion: The Forgotten Legacy of Japanese Chadō on Modern Chinese Tea Arts.” Gastronomica 16:1 (Spring 2016), 53-62. The YYX tastings are ongoing – will report on those soon. So I’m currently in Shanghai doing some research, which means being in a library all day. This being China, you can bring a thermos into the library, and each reading room has a table for you to put your thermos along with everyone else’s. I figured that since I can’t drink tea otherwise, and I don’t want to wait till I get home before brewing some, I would try bringing tea in a thermos. I had in mind not just the regular giant plastic water bottles that people use here (mostly seen in cabs) where they stick an obscene amount of tea in there and brew all day. I thought I would try something a little different, using a thermos with very good heat retention and see how the tea brews in there. It seems like an interesting thing to do – high heat, continuous brewing. Turns out it’s not such a great idea. The tea is very strong, obviously, because it is brewed for hours in very hot water. It brews super strong, but because of it, it’s hard to discern flavours. I think the effect was similar to what you might see in a samovar – long brewed strong tea that probably could use some dilution. What’s most interesting is that when I poured out the contents and then diluted it with some water, the taste is, well, inferior. It just doesn’t taste quite right, since it’s a tea I know well. It’s also interesting that the wet leaves are very, very mushy – when I poured water in the cup it stirred up a lot of bits of tea leaves. Again, the effect is similar to boiling the tea for a long period of time. You extract everything out of it, and it loses all ability to be re-brewed. So, long story short, if you are going to grandpa your tea on the go, use a vessel that loses heat normally over time, instead of something that retains heat exceptionally well. It doesn’t really work. The laowai special is one reason why, in the first post about buying tea in China, I suggested that one should just head to the local chain teashops and buy the tea there – it’s a lot simpler, and the tea you’re likely to get is probably going to be no worse than whatever you end up locating in the tea market. If you are in a tea market, and you’ve tasted some stuff, and you like what you saw, you want to take some home with you. How much should you bargain, and what should you do? I would suggest that as a general rule, you can pretty easily expect a 10-15% discount off the price quoted. If you are persistent and have loads of time, you might even be able to negotiate a much deeper discount – I’ve gotten prices slashed to up to about 70% off the original quoted price, and I don’t even get the laowai special in the first place. The problem is, you have to be able to tell from the beginning whether the price you’re getting quoted is severely inflated or not, which means you need to have a fairly good sense of what you’re tasting and what prices are normal for the type of tea you just tasted. This is not knowledge that is easily acquired if your primary source of tea is from Western vendors. If your counter-offer is far too low, some people might even think it an insult (or at least feign one). So tread carefully. Related to the above, you might also need to consider your opportunity cost – if your whole order consists of kilos of tea, and you’re quoted thousands, then negotiating is probably worth it. If you are only buying a little bit – a few ounces, one cake, etc, and you have limited time, saving that extra 30RMB by wasting half an hour (or more) of your time might not be the best idea. I hear of stories of people wasting their time trying to get the 30 RMB they’re paying for a gaiwan down to 20 or 25… really? Please, do yourself a favour and spend that extra dollar so you can get on with your tea shopping. Time is limited (if you’re visiting and don’t live there). It probably cost more than that just to get to the tea market. There are a few things to remember when trying to get a good price. First of all, ignore all signs for prices of the tea, and always ask how much it is even when it’s labeled. Sometimes you get a different quote right off the bat – the number on the tea/pot may or may not be the actual price. This is pretty common – they just need something to have a price, but it is usually just a number to be ignored most of the time. Being nice does count – some people I’ve met go in with the mentality that the shop owner is out to scam them, and think everything is either overpriced, bad, or fake. Aside from the philosophical question of why they stuck around if they think that way, it is really not a good atmosphere if you want to then try to negotiate down prices. If the seller hates your guts and you were acting like a jerk the whole time, you’re increasing the likelihood that they’ll try to screw you. So, the more paranoid and skeptical you are, the more likely you’ll get scammed – it’s a self-reinforcing mechanism. Be always alert for scams, but don’t tell them in their face that you think you’re being scammed. If you are buying in bulk for one particular tea, you should be able to expect bigger discounts. This is true almost everywhere, but especially in China. There’s a small exception – for some teas like puerh, keeping a whole jian intact can sometimes actually be valuable in itself. 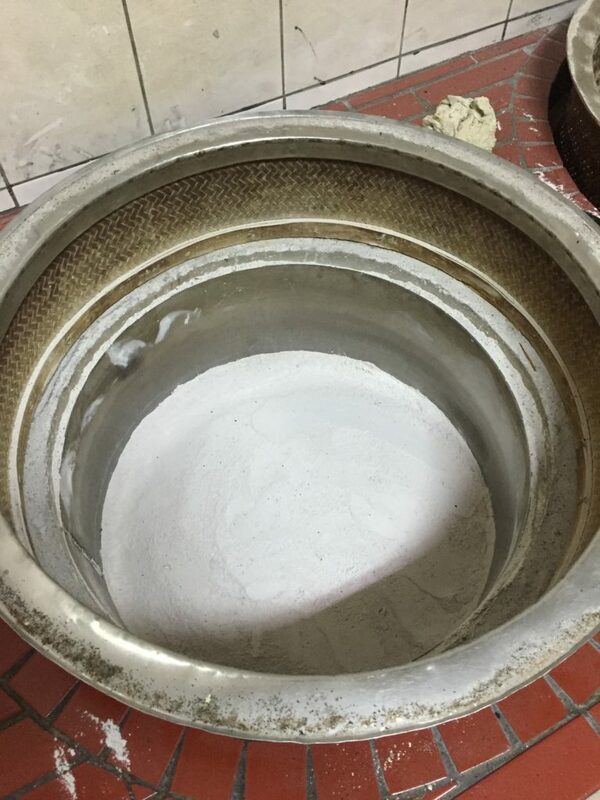 So, in the past there have been instances where a jian of Dayi cakes was worth more than 42 single Dayi cakes – it’s crazy, of course, but true. I don’t think we’re currently in those market conditions (Dayi prices having recently corrected) but it does happen sometimes. Larger amounts mean a few jin of tea if loose, and at least a tong if compressed. Anything less is really just a small order. Prices are also not cheap in China these days. Top grade teas are actually far more expensive than teas you can find online – they just happen to be better. So if you’re used to paying, say, $200 USD for a jin of tieguanyin as whatever the best your vendor is selling you, don’t go to China and think $50 USD a jin will get you the best grade – you can easily find stuff that costs way, way more than your usual prices. The difference is really in the quality. No amount of words will be able to teach you how to tell the difference – it’s all in the tasting, and as I mentioned before, there are all kinds of tasting tricks that vendors can use you to confuse you. Aside from these notes, you’re down to the usual tricks of getting prices down – paying in cash, showing them the cash (as in, putting the X amount of dollars you’re willing to pay down on the table – sometimes it works), being patient, sounding like you know the market, etc. All of these take skill, time, and knowledge. If your order is under 1000 RMB, and you’re only visiting, chances are it’s really not worth your time and you should get on with trying other teas. Note: A friend noted that what I’ve been saying here can be mostly applied even for web-shopping online from Chinese or Western vendors alike. I suppose that’s sort of true. Let’s say you’ve gone through the hassle of finding a shop, sitting down, finding a tea you want to try, and didn’t get jasmine pushed on you in the process. Now what? 1) The brewing vessel – while I only use pots for my own consumption, when trying a tea I will usually ask them to use a gaiwan, because a gaiwan is more neutral, it makes it easier to compare different teas, and is basically a “fairer” way to taste tea than using a pot. With pots, there are simply too many variables involved. This is especially true if you’re going to a shop you’ve never been to before and know nothing about. Get them to use a gaiwan. 2) Water – what kind of water are they using, and how hot is the water they’re brewing with? All vendors in China use some kind of bottled/delivered water. What they use can make a big difference. This isn’t usually something you can do anything about, but it’s a good thing to be aware of. Check out the bottle they’re using if you can see it. If not and if you can speak, ask. Some places use cheap Nestle purified water, which is pretty bad for tea. Others use things like Nongfu shanquan, which may or may not be ok, depending on which source it’s from. Water in China is a big issue – and will change how you perceive the tea. Another thing about water is the temperature at which they’re brewing with. These days, especially with a lot of puerh vendors, they will often brew teas for you at less than boiling temperature. This produces a much thinner, but sometimes more fragrant and certainly less offensive tea (bitterness etc). I personally find that to be rather bad for tasting when trying to evaluate whether or not to buy a tea – I want to know what’s in it, not what the person making it for me produced. So in some ways, the standard 5 minute competition steep is the best way, but most vendors are not equipped for that and you’ll have a hard time getting them to set it up right. Normal gaiwan brewing using boiling water is usually the best you can hope for. 3) The ABA trick – if you’re in a non-puerh shop, and you’re trying the teas, be careful of what they’re serving you. A trick I’ve heard some stores have used is the ABA trick – they only really have two (or three) versions of the same tea. They will show you A, then B, then you’re back to A, but you aren’t aware of it because they changed the parameters slightly, and besides, the last time you tried A was over half an hour ago and it was the 10th infusion. You forgot what it’s like already, especially since they’re now telling you it’s 300 RMB more than the A you tried earlier (taken out of a different canister, of course). For some teas, like yancha, this can be hard to spot, especially if you’ve been involved in a tasting marathon. 4) Similarly, an easy way to upsell you on a tea is to serve you something bad first. All of a sudden, what you’re having now is so much better – it’s a great tea! Except, it isn’t. It’s just something mediocre, but in comparison, it’s really much better than that first thing you had. So, you buy it, thinking it’s a top grade whatever. Buyer beware – you can only avoid falling into this trap if you’re really familiar with the entire style and also the different possibilities that exist. If you’re a tourist who doesn’t frequent the markets too often, it’s very easy to overpay for mediocre tea this way. I’ve had stuff from Western vendors that were clearly bought on premises like this – they think they got something top notch, when in fact it’s not. So what do you actually look for? Well, for one, it really helps if you’re intimately familiar with the type of tea you’re trying to buy. This is sort of like people’s advice for buying stereo speakers – you want to bring music of your own that you know really well to give the speakers a test run, so you can see how the speakers are performing. Likewise, if you have a few teas in your current collection that you can refer to, mentally, while tasting, then you will be in a much better position to judge what’s being offered in front of you. If you’re trying to buy a type of tea that you’re not familiar with – don’t. Your chances of buying a dud is infinitely higher, unless you don’t mind overpaying. In general, any marketing-speak from the vendor can be ignored. Almost all pieces of information they provide you are designed to get you to buy the tea, so listen but don’t pay too much attention. 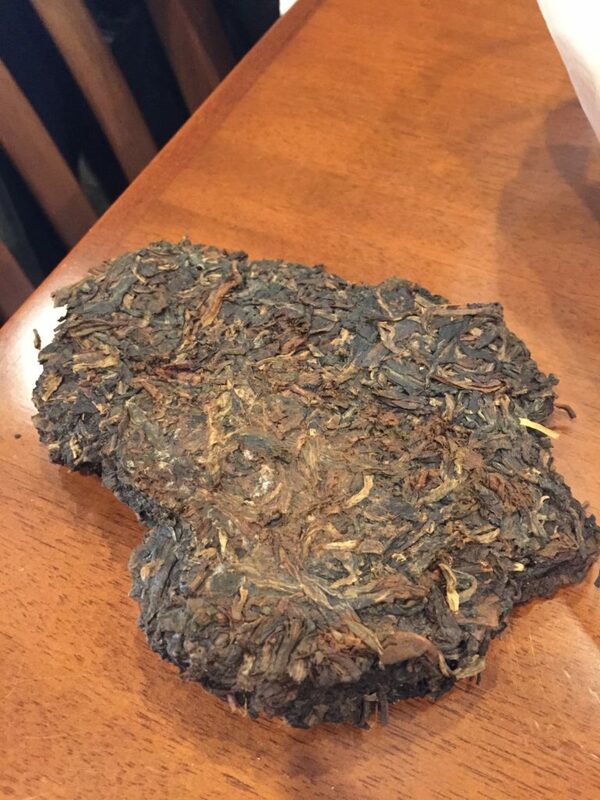 If someone tells you this tea is something rare, it’s gushu, it’s 2003 vintage, it’s from this special area in this remote mountain – ok, sure, brew me and we’ll see. In a country with fake table salt (and every other food item you can name), too much caution is not a bad thing. There are a few etiquette things worth mentioning – in general, if other guests are present at the store (whom you don’t know) refrain from commenting on the tea, especially negative comments. You can hate it and think it’s trash, but there’s no need to do it in front of other people who are not running the shop, especially when you don’t know their relationship. It’s safer to do that when the person brewing the tea for you is alone – one reason I suggested not to bother going into stores with people already in them. Smoking might be ok, depending on the shop, but it’s best to ask. Taking phone calls are rarely a problem. Walking away is ok too if you decide you don’t like the shop or the teas, but be nice about it – there’s sometimes some pressure to buy, but if you’re at a tea market, they also know that you’re surrounded by hundreds of shops. Even if you think they’re trying to scam you – thank them, and go away.